Jeff and I feel guilty. No post for almost three weeks! Although, I am positive that you as fishermen, will be glad that 1. we’ve been out pounding the waters, and 2. we got some stellar photos from great photographers below. I have one more day of fishing left to do here on the East Cape before Justin and I start driving north to begin our guiding season in Alaska on the Naknek River. I am having an extremely hard time trying to stay positive about leaving paradise and roosterfish behind for cold weather, rain, and trout. Baja has been so much fun jam packed full of incredible fishing experiences, great new friends, and fantastic food. I don’t think I could ever get too much of tacos or guacamole. Fishing has been going nonstop since the last report; The Reel Baja has been at it every day and getting clients into fish inshore and off the beach. 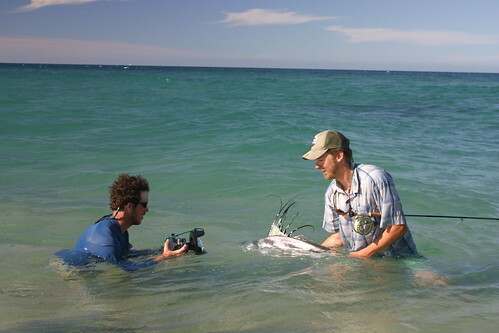 Despite the colder water that moved in earlier last week and turned the madness down a notch, we still managed to find roosterfish willing to be players. Once the water warmed up mid week and the skies cleared, we started having great beach days again as well. The Moldy Chum group trip fished with us for the last five days. Everyone on the trip got at least one Roosterfish and a few had Jack Crevalle to the hand as well. We had clear skies and lots of fish moving through the East Cape. Although they were not in schools as much, we could still manage to bring them to our feet both in the pangas and off the beach. Incredible photography by Aaron Otto from that trip can be viewed here: http://aaronottophotography.zenfolio.com/p77264115. We were also fortunate to have Tailwaters Fly Shop join us for six fishing days. With some tougher conditions, such as water temperature, cloudy skies, and picky fish, these guys worked hard for everything they got. No fish came easy, but they put their skills to the test and did manage to hit up a Dorado inshore and quite a few roosterfish. Their resident website and photographer dude, Matt Jones snapped some great photos, check them out here. 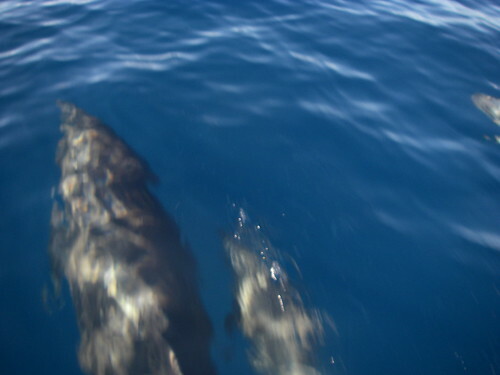 I also took a Marlin trip offshore with my neighbor Jim, resulting in lots of porpoise sightings and two Marlin misses. Should have been there the day before, as the Marlin turned on for a few days then shut off again. Apparently we got lots of squid feeding themselves to the Marlin and the porpoises. So until next spring when we are back here pounding the sand and bugging Jeff, you can keep up with us at the Rogue Angels, and stay tuned for the upcoming hot roosterfishing reports. Something tells me things are about to heat up around here. 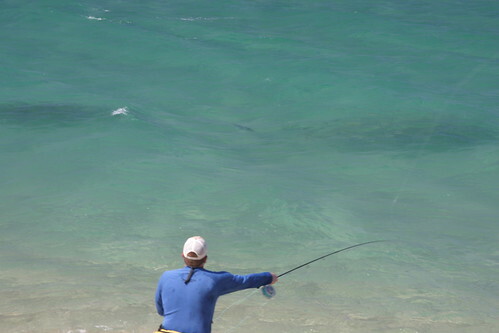 Baja Mexico Fly Fishing: Roosterfishing From The Beach! Ten days ago Jeff DeBrown made a fishing report. That day Jeremy and Joey from Flies and Fins rolled into town. Hip, stoked, and ready, these two railed on roosterfish both inshore and from ‘de beach’ as Joey would say. This week you got me, k8 taylor. You’re probably wondering who? and why?….I guess it’s because I like doing this. I publish a blog Rogue Angels dedicated to women fishermen. 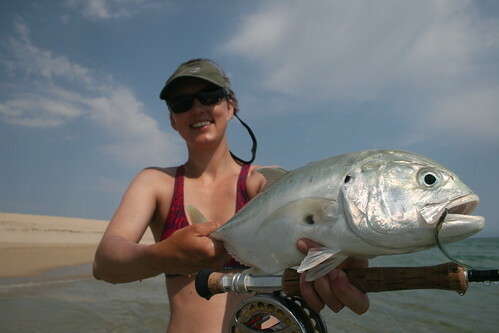 I love to fish, photograph, and write about my adventures and those of other talented women fishermen. Currently I am sitting on DeBrown’s couch (while he ties flies for tomorrow’s trip) after a ridiculously delicious Mexican quesadilla meal with a beer. Bliss is how I would describe life in Mexico. My partner, Justin Crump, and I have been here since the third week of April and fished every day except one. My ankles are swollen from running up and down, my hand is cramped from casting pressure, and my mind is focused. On roosterfish. Each day has been spent wandering beaches for the entire day hunting for those bait crashing, intelligent, fly diverting creatures. So it seems this all puts me in a good postion to write the current report. This week has brought success for Justin, myself, and Jeff. Yesterday Justin hooked up with a fifty pounder, ‘Pezgallo Grande, only to have the hook pop out fifteen minutes into the battle. Nevertheless, he walked away proud. 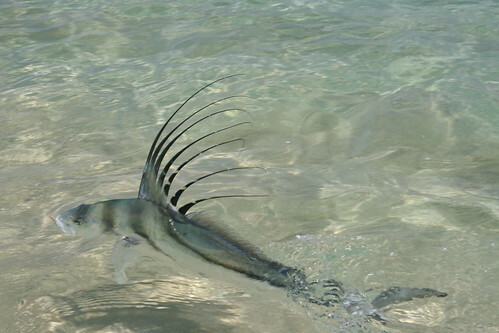 Roosterfish don’t come easy and they don’t always come. Your perspective needs to take a turn with this fishery. 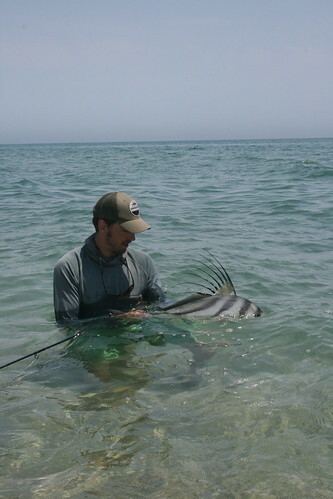 In my opinon, watching a roosterfish chase your fly into the beach should rank up with one of your favorite days on the water, regardless of a hookup. You are hunting. 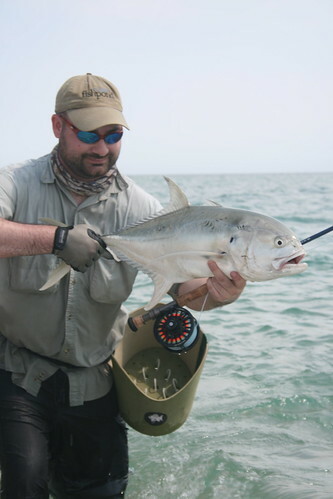 That’s me with my first Jack Crevalle! Justin with a beauty rooster. Our friend, Brendan, with a sweet Jack. Me with my first good sized rooster on the fly! On fronts off the beach, Marlin are now starting to bite but still a bit reluctant. 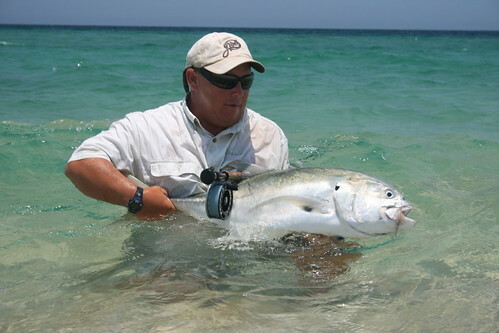 A sixty five pound Dorado was landed a few days ago, and roosterfish have been coming easy to the pangas. All good omens if you’re coming down this way anytime soon. See you on de beach, mon.